An international and inter-disciplinary network of scholars and activists in: Research into Co-operatives, Mutuals and related Social Enterprises. The western conceptualisation of property remains tied to the image of land; reinforcing, we suggest, a range of assumptions that are fast becoming questionable, if not irrelevant. Thus, the idea of property continues to be linked, as if by definition, to issues of scarcity, sovereignty, and tangibility. The trope of ‘private property’, expressed in narratives which privilege exclusive ‘ownership’ as central to our understanding of what property is, as a system for assigning and distributing value, remains firmly ‘in place’. The development of digital goods and services reminds us that, in fact, none of these presumptions can be taken fore‐granted: indeed these developments serve to reveal that the apparently necessary (seemingly natural) foundations of property in the land‐image are, necessarily, fabricated. However, we should not mistake digital property as being essentially new in this regard: older developments, concerned not only with copyright and intellectual property, but also with community based activities, such as co‐operatives and mutuals, have long contested the land‐image of property and all it is presumed to carry. This seminar will explore what property can and might be, once the land‐image has been dispensed with as the ‘proper’ (only) grounding for ‘thinking’ (conceptualising) property. In doing so, it challenges ‘property theory’ by beginning with two sets of practices which we have associated with ‘alternative property practices’ ‐ using them to explore the fabrication of property relations through the framing of ‘practices’, rather than the attribution of conceptual framings located in and through the land‐image of property relations. Bringing together scholars experienced in the practices of alternative properties, along with theoretical researchers who draw on resources outside of the orthodox property theory framework, will allow us to examine the evidence that we need another approach for property thinking, as well as to explore the methods and concepts which may help us in developing an alternative approach: one which directly engages with, recognises and uses, the implications of ‘alternative property practices’. Specifically, it includes papers from scholars and activists who have well‐established histories in community based practices, including the co‐operative movement, forms of mutualisation, community benefit companies, and social enterprises. The value of this work to the debate is that these initiatives have had to struggle, directly, with a lack of legal forms appropriate to property practices which go well beyond the image of an individual owner having property in a specific thing. It becomes apparent, through exploring this field of activism, that property is not merely generated by communities assigning value; but that community, value, and property come together in complex, and often contingent sets, assemblages, in which what is paramount is not a concern with an individual (or group of individuals) benefiting from their property, but that rather property holding is simply a necessary ancillary to a broader social aim or set of values. The narrowness of orthodox ideas of property are made quickly apparent as soon as the land‐image of discrete owner/discrete thing is challenged, indeed, dispensed with. This is reinforced when we track a similar pattern taken by intellectual property scholarship, who have found that the traditional concepts of ownership are ill‐suited not merely to intangible goods, but, even more obviously, to digital goods whose coding and reproducibility render the ‘scarcity’ justifications so central to orthodox property thinking completely irrelevant. The seminar will include, in this regard, presentations from those who have seen ‘property’ shift from ownership of a limited resource, to a question of access to an unlimited resource. As such, the seminar will examine not only the extent to which traditional ideas about property (which we have identified with the land‐image) can be adapted to become applicable to such intangible resources, but what can happen when we meet a limit in adaptability. Interestingly, it has been in questions over certain forms of/for intellectual property that issues of alternative property forms and social justice have become very sharply visible in the academy, rather than in the ‘rather older’ field of co‐operatives and analogous community initiatives, which have received very little recognition as being of scholarly interest and thereby of potential use for/in exploring issues of property relations and social justice. Recent interest in, and work on, commons, in both physical/material and digital/virtual dimensions, is vibrant and will be addressed, but we intend to go beyond the obvious ‘modelling’ of commons, in exploring how the strategic use of that model is facilitative in thinking property and value. Studies of alterative housing practices in Denmark, for example, alongside studies concerned with global positioning technologies, radically undermine many of our presumptive ideas about land, and what it means for us ‘to be on the land’. Such research points to the fabrication of not only our relations with each other, but also the constructability of our sense of place, belonging, and community. New ways to conceptualise values and responsibility thereby become apparent, even if, in some cases, only fleetingly. In particular, we wish to consider how the processes of ‘property‐ing’ ‐ that is, the forging of the values and relationships which underpin property ‐ are potential resources in their own right, and how this might enable both more creative and open communities, as well as providing new resources to be exploited and capitalised. In this sense, the seminar will also discuss how the coding of property is, in itself, also a potential property. Our proposal enables scholars from disparate fields (including law, copyright, economics, anthropology, and geography etc) to come together to explore shared concerns, and the potential in developing shared perspectives (methods, ideas and materials) to forge links productive of a broader, and more nuanced, understanding of property. It is unusual in that, in bringing together scholars and activists working in co‐operatives and alternative socio‐economic business models, with scholars working in intellectual property and digital media, it allows for an exploration of how both challenge the land‐image of property, and how both, in relation to each other, offer alternative ways to explore and think property relations, not merely in relation to each set of practices, but for property thinking in general. This seminar considers whether the time has come to cease placing ‘ownership’, especially as a concept, as central to, and necessary for, thinking and practicing ‘property relations’. Equally, it challenges the presumption of the centrality of the private property trope to, and for, thinking ‘property relations’. In the modern mix of complexity and diversity, a range of property practices evidence other potentials, and struggles towards new and emergent forms. This raises new potential for social justice concerns. The practices and ideas of ‘participation’ and ‘access’, for instance, seem, now, very relevant when considering both what property is, and how it can be utilised. Issues of control and exclusion, which characterised the ownership of land, have begun to give way to a more amorphous and modulatory image of ‘ownership’ ‐ one that can be seen as much more conditional, temporary, limited, and tailored than the traditional accounts of property holding. It is this more fluid account which this seminar seeks to explore, and, one might even suggest, ‘exploit’, in a concern to re‐activate property thinking (theory) through an engagement with the idea and evidence of ‘alternative property practices’. Ian Snaith holds degrees from the Universities of Keele and Manchester. In 2009, he retired from his position as Senior Lecturer in Law at the University of Leicester. He now operates as a freelance teacher, researcher and writer on legal and policy issues, with particular reference to co-operatives and mutuals. He is a consultant solicitor with Cobbetts LLP and regularly advises the UK Co-operative and Credit Union Movements. Ian has published extensively on legal aspects of co-operatives and credit unions and has served on HM Treasury Working Groups on the reform of Co-operative and Credit Union Law. He also served on the European Commission’s Experts Group on Co-operative Law and is an adjudicator on the use of the .coop domain name for the World Intellectual Property Organisation. He was a member of Co-operative UK’s 1992 and 2002 Corporate Governance Working Parties and advised to the Co-operative Commission of 2000-2001. And blogs at: snaithsco-oplawnews.blogspot.co.uk . R-CoMuse is a network of scholars and activists interested in developing research into all forms of social enterprise inspired by a concern with community and social development. Although physically based in the UK, we are an international network committed to forging links across national borders and academic disciplines, and between scholars and activists. The R-CoMuse network developed out of a series of exchanges between a group of academics (some of whom are actively engaged in a variety of co-operative enterprises) which has now morphed into an extended cross-disciplinary and international dialogue. We share a belief that academic work should ‘make a difference’, and we are all, to different degrees, attracted by the potential in co-operative and social enterprises for ‘thinking differently’ in a world which has, for so long, been constructed around the values of individualism, the market economy and private property. But we are also, as academics as well as political and social actors, aware of the extent to which ‘thinking differently’ and developing (what we have come to think of) as ‘alternative property practices’ is difficult, and we are committed to exploring these difficulties in order to build, through practices of evaluation and processes of embedding, the potential for ‘difference’ in ‘social’ enterprises. R-CoMuse allows us to link together – as a forum for exchanging, sharing and developing information, ideas and approaches, and as a means through which we can find and develop work on which we can co-operate. We have been helped by the award of a British Academy grant which enabled us to mount seminars in Kent and London (2011/12) which brought us together to exchange ideas, and out of which we developed plans for the on-going R-CoMuse forum to enable further work and to extend the network. The decision to begin this blog as a means through which to reach out to others who might be interested in our work, or in joining our network, was an obvious ‘next move’. We would like, again, to thank the British Academy for their support. One function of the blog, at this point, is to enable us to present something of what we accomplished during those 2011/12 meetings. You will find in our archive the programmes of those meetings, and we shall shortly be adding material which came from those seminars in the form of notes, references and slides. For those of you in the UK (or able to travel to the UK), we shall also be posting our future meetings, giving contact details if you are interested in attending, and also putting out calls of invitations to contribute to days dedicated to particular themes or activities. We will post when a number of us will be presenting at international conferences and will be convening a gathering of R-CoMuse scholars and activists during or alongside these meetings, and also we will post if any of us are visiting countries in which we would welcome contacts with scholars and activists (we particularly welcome the chance to visit sites and find out about what is being accomplished locally). Would you like to join our network? In the near future, people on the list will be asked whether they are happy to have their names and email addresses made accessible to other network members through a link on this page. We will then be asking for some (very brief) details about work, areas of interest etc., in order to facilitate contacts between us. Would you like to contribute to the blog? Either by writing something of what you do, information about projects or events which you would like publicised etc., if so, please send any material to c.archer@kent.ac.uk. Is to operate as far as is possible an open access forum. However, we, as R-CoMuse, reserve the right to refuse to accept, carry or publicise material which we consider to be inaccurate, offensive or simply not relevant to our work or our concerns. We are hosted by the University of Kent and we also, very willingly, accept their policies on not accepting or carrying material which is problematic in terms of racial, sexual or religious discrimination. Of any matters, issues or concerns which you think we should address as part of our work, or any suggestions you have in terms of how this blog and our page might support and develop connections between scholars and activists, and disseminate material which is of interest. We hope that this first posting will begin a long and valuable conversation…..
Anne Bottomley (Kent Law School. a.b.bottomley@kent.ac.uk). Saturday 13th October 2012, 2- 4.30 pm. For more details please see R-CoMuse blog, and for registration contact: Nathan Moore (nathan.moore@bbk.ac.uk) or Caroline Archer (c.archer@kent.ac.uk). R-CoMuse: Research Network in Co-operatives, Mutuals and Social Enterprises. Law School, Birkbeck College, London. An interdisciplinary and international research network. 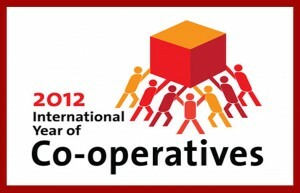 2012 is designated as the UN ‘Year of Co-operatives’. In the country which gave birth to ‘the co-operative movement’, there is no better time to reflect upon the factors which lay behind a renewal of interest in co-operatives and related forms of social enterprise: especially when we reflect upon the fact that co-operatives, so long associated with the Labour movement, have become adopted as part of the ‘Big Society’ agenda. What is it about them which appeals across a broad political spectrum, from being promoted as radical alternatives through to being applauded by the Coalition? Co-operative enterprises cover a wide range of activities – from business through to housing and the delivery of services. The basic premise which connects all of these together is that a group of people come together to act in their common interest for their mutual benefit. This, however, translates into a wide range of forms and practices, within which ‘common interest’ and ‘mutual benefit’ become contested terms. For ‘the co-operative movement’ the hallmark of a co-op is that it meets, in its form and practices, the ‘Rochdale Principles’. How do these principles inform both the range of activities which are associated with co-operative enterprises, and the legal forms which have been developed (or been adopted) to carry them? And, to what extent do these forms, patterns, and practices, reflect and enhance (or inhibit) the values of co-operation? 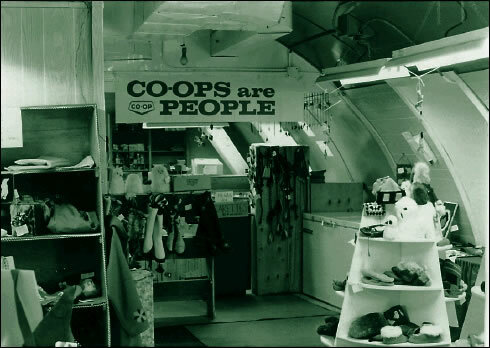 Especially, when, as was recognized by the Rochdale Pioneers, any co-operative enterprise must be economically sustainable, as well as continue to be attractive to its membership. In an environment which has, for so long, been premised upon the values of individualism, private property, and a capitalist model of investment, credit and growth, the potential in co-operative enterprise is now being re-addressed. From offering alternative, sustainable, business models, and positing different patterns of ‘ownership’, through to concerns with developing enterprises which re-engage people into more pro-active and responsible communities: what is this investment in co-operation which now seems to make it so attractive? These questions are premised on an argument that co-operatives are not simple models – but assemblages of practices and forms, of principles and ideas. We need to develop methodological approaches which enable us to investigate co-operatives as multi-faceted entities, diagramming the operational techniques which translate the principles of co-operation into organizational forms. In this seminar we approach this thematically – taking as our entry point ‘value’ (as assets) and ‘values’ (as principles). How are these brought into relation through co-operative forms? How have tensions between them been addressed, particularly in the development of legal models? How have narratives been developed to promote and disseminate co-operative principles and values? 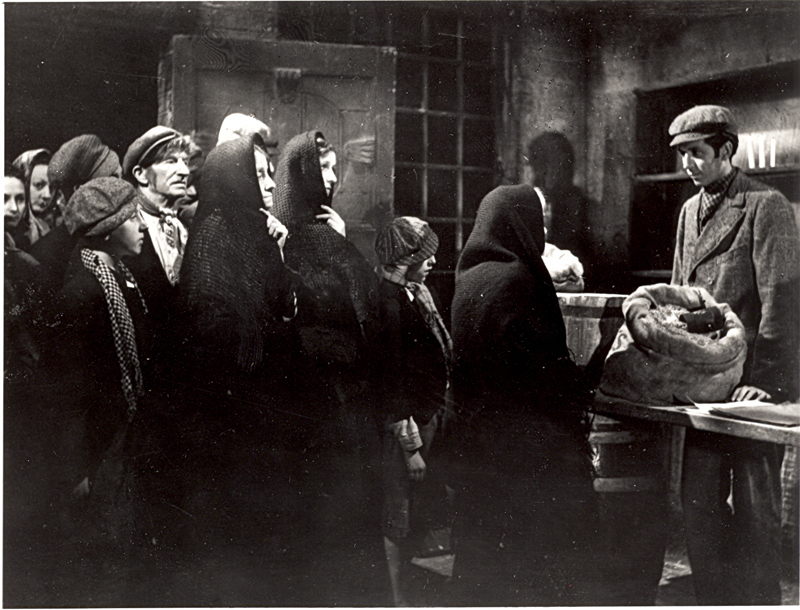 Included in this workshop is a viewing of the 1944 short film ‘Men of Rochdale’ – an evocation of history which is being reprised in a new film commissioned by The Co-operative, and due out later this year. 1844/1944/2012 – what are co-operatives about? How do the thematic questions of value help us to investigate them? Monday, 7th Nov. 2011. 10.30am, 11.15am-to 5.00pm. The deployment of co-operatives and mutuals raises questions concerning how we develop methodologies for investigating these socio-economic forms and their legal framings. This challenges the orthodoxies of how we think of property, ownership and benefit, and of the role of law and legal forms. How do we track, and give an account, of these challenges? What issues does this raise for re-engaging with methodologies developed for investigation into other, more conventional, sites? Co-operatives and mutuals are dependent upon particular accounts of time and space – to understand the ramifications of this is one of the challenges they present, and it throws into relief the question of just how space and time are constructed, deployed, and understood, within law and in other fields of scholarship. Taking this as an entry point, this inter-disciplinary seminar (anthropology, film, geography, law, architecture) addresses ways to think (image, diagram) how spatialities and temporalities are distributed. There are three ‘back stories’ to this seminar, all of which have informed both how we have set up the day, as well as what we hope will be developed during our meeting together. First, and most obviously, in 2011 the British Academy awarded us a small grant to investigate the development of methodologies for the study of mutuals and co-operatives and similar ‘non-orthodox legal sites’. This seminar is funded from that grant. In these terms, we structured the seminar as an opportunity to introduce strategies and themes from across a range of disciplines which might inform the development of work in this area (or in these ‘sites’) as part of the newly formed R-CoMuSE network of scholars and activists. Second, we argued in our application that socio-legal and jurisprudential scholarship would benefit from being both more informed by work developing in other disciplines, and from using ‘ non-orthodox’ legal sites as a means through which to re-examine some basic presumptions made about law, and legal methods which might have become too entrenched (too ‘presumed’) in much existent legal scholarship. Third, it seems to us that legal scholars have too often approached other disciplines looking for ‘tools’ or ‘methods’ which might be usefully brought back ‘into’ our work, rather than thinking more succinctly about how our own methodologies might be useful to other disciplines – in other words, how we might develop more successful inter- and cross- disciplinary work. Bringing together these three aspects, a clear theme emerged for this seminar concerned with the extent to which any study of co-ops and mutuals is reliant upon a particular inter-play between space and time. Lawyers are familiar with the construction of spatial and temporal dimensions through the foundational legal forms of contracts and property – in encountering sites which do not conform to the orthodoxies of these forms, we throw into relief the question of just how accounts of space and time and constructed, deployed, and understood, within law, as well as in other fields of scholarship. 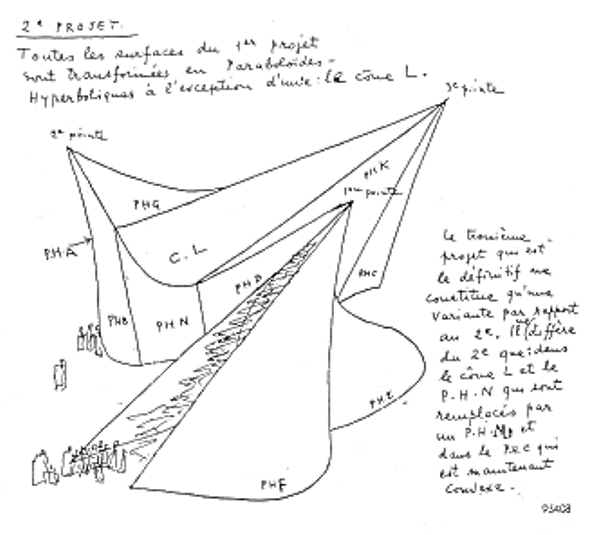 This is more than examining sites for distributions along the axis of space and time, and more than configurations in space and time – it is about finding ways to think (image, diagram) how spatialities and temporalities are, in themselves, distributed. Two constituencies have been invited to participate in this seminar – some have a specific interest in the study of co-ops and mutuals, and some have a more general interest in questions of methods. Our hope and anticipation is that the seminar will be fruitful for all of us, and that, in future spaces and times, it will inform the development of our work across a range of disciplines and sites. Anne Bottomley (a.b.bottomley@kent.ac.uk) and Nathan Moore (nathan.moore@bbk.ac.uk). 11.15 – 11.30 Welcome and Introduction – Anne Bottomley and Nathan Moore. Charlie Blake: ‘Inhuman Mediations: Neo-baroque cinema and evolutionary alterity’. 4.45 – 5.00 – Round table discussion.